Silver Spring, MD; February 8, 2018 – Following the recent U.S. premieres of two more must-see Acorn TV Originals in BAFTA-winning comedy DETECTORISTS, Series 3 and star-studded ITV drama GIRLFRIENDS, Acorn TV’s March slate features new episodes of two of its most popular series from 2017 with the return of #1 Irish drama STRIKING OUT, Series 2 (Trailer) and British drama DELICIOUS, Series 2 (Trailer). 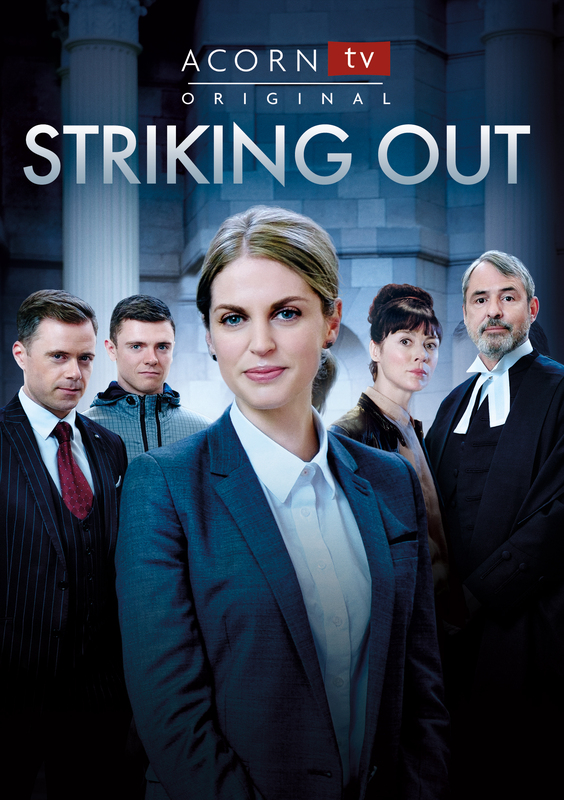 Award-winning legal drama STRIKING OUT stars 2017 IFTA Award winner for Best Actress Amy Huberman and Neil Morrissey (Line of Duty, Good Karma Hospital)¸ who recently made a splash in the U.S. with their fun panel at the Television Critics’ Association’s winter session. While DELICIOUS is an addictive drama with food, love and infidelity at its heart and stars Dawn French (The Vicar of Dibley) and Emilia Fox (Silent Witness). STRIKING OUT is an Acorn TV Original Series co-produced by Acorn Media Enterprises, while DELICIOUS is licensed through Endemol Shine International. All new episodes of both seasons will be available all at once. Additionally, Acorn TV features the exclusive North American premieres of the season finales of charming #1 Aussie dramedy THE HEART GUY, Series 2 (Trailer) licensed through Fremantle, and universally adored Acorn TV Original and ITV drama series GIRLFRIENDS (Trailer) starring two-time Oscar nominee Miranda Richardson (The Crying Game, Churchill, The Hours), Phyllis Logan (Downton Abbey, The Good Karma Hospital), and Zoë Wanamaker (Agatha Christie’s Poirot) with Matthew Lewis (Harry Potter’s Neville); as well as new episodes of smash hit period mystery series MURDOCH MYSTERIES, Season 11, licensed through ITV. Throughout March, Acorn TV also features GOODNIGHT SWEETHEART, Series 1-4, a 1990s BBC sitcom starring Nicholas Lyndhurst (New Tricks, Only Fools and Horses) as an accidental time traveller; MIND GAMES from the creator of Prime Suspect and starring Fiona Shaw (True Blood, Harry Potter’s Mrs. Dursley) as an ex-nun turned criminal profiler; as well as several BBC documentaries: THE HAIRY BIKERS’ PUBS THAT BUILT BRITAIN, and two on WWI, THE LONG SHADOW and ARMISTICE. BINGEABLE: Recent complete seasons available to binge-watch in March will include: British school drama ACKLEY BRIDGE (Trailer) and BBC and Acorn TV Original comedy DETECTORISTS, Series 3; as well as BBC One drama LOVE, LIES & RECORDS (Trailer) starring Ashley Jensen and addictive Aussie period drama A PLACE TO CALL HOME, Season 5 (S5 Promo). 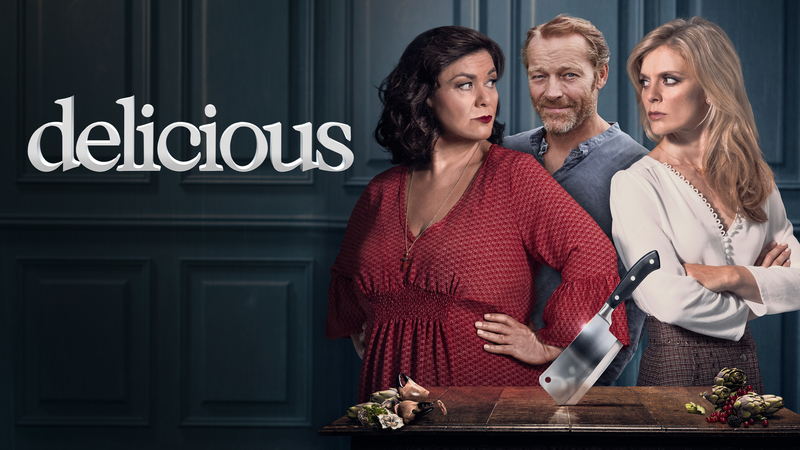 WATCH NOW: Delicious is now on the press watch site and Striking Out S2 will be added within the week. https://acorn.tv/press . Mirror to your TV via Apple TV or Chromecast. DVDs available upon request.